What can we buy for them other than socks, boxer shorts, ties and car cleaning kits? Men can be rather awkward beings at the best of times and buying presents appears to somewhat mirror this logic. However we do know one thing about them, they are from the Red Planet of Mars and what do we specialise in, you guessed it, RED! How many times have you nagged about how much time your man spends staring at the screen or playing on games? Well, how about replacing the screen with a technicoloured wall. What man (or woman) can’t relate to Pacman, Space Invaders, Zelda or Street Fighter? It’s a well known fact that men are rather functional beings so why not feed the functionality with a bit of quirk. Was there a fight? Have they smashed their glasses? Let him keep all of his guests second guessing with this wacky solution to coats on the floor. We’ve already mentioned that men massively appreciate function and this classic station-inspired timepiece features both a calendar and a clock! Never again can you accept the excuse that your man ‘didn’t know what date it was’, we all love a present with a dual purpose now don’t we ;). The only question left to ask is whether your man fancies himself as a bit of a station master? Does your fella have a prized T-Shirt longing to be framed? This ultra nifty idea from Umbra could be just the ticket. Not to stereotype (oh hang on men, Mars, bad with dates… too late!) but most men are ridiculously attached to one sports shirt or another, be it the one they scored their first goal for the Under 10 “champions” league in or simply a reliquary for their favourite team. I know we’ve already had one wall sticker idea, but hey you can’t have too much of a good thing and this one is not only stimulating for the eye, it’s that all important thing; functional! 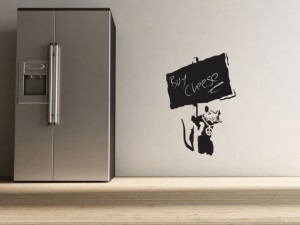 Banksy’s urban art work has been popping up all over our streets for the past 20 years or so and with this cool creation his murals can come to life inside the home. With just a flick or two of the chalk his creation’s can speak your man’s mind (or remind him of dates… remember, dual purposes!). This one is pretty much self explanatory as, let’s face it, who doesn’t love coffee? However this coffee machine is the Ferrari (incidentally another great present for a man but rarely in the realm of reality) of coffee machines with it’s sleek, curved exterior and ThermoGen™ technology which promises not only to deliver coffee, but coffee at the perfect temperature! I know this picture displays a coca cola bottle, but what’s that other great love in most mens’ lives? Yep you guessed it, beer! So this fridge magnet would be the perfect solution for any man and would ensure that he never has to break a tooth again when he’s misplaced his bottle opener! Ah now for this gift, let’s harp back to the good ol’ days as your Grandad would say, you know the one’s… “when I was a lad you were lucky if you got so much as a block of wood…”. Well in this instance you really can give them a block of wood, all be it a stylish and functional one! The time and date function literally appears on this cube as if by magic, making it a mesmerising timepiece that men are bound to love! Is your man a fan of mad men? Well you can forget your smartphones and tablets, as this classic yet stylish form will never out date and make a perfect talking piece for any modern man’s pad. However, serving this charm with whisky and cigars is entirely optional, as is the chance that he will actually answer the phone! Whether he smokes or not, this gift could really add some fire to his room with an air of quirk. It’s a contemporary spin on an old classic that showcases a marriage of form and function that any man would be proud to show off. 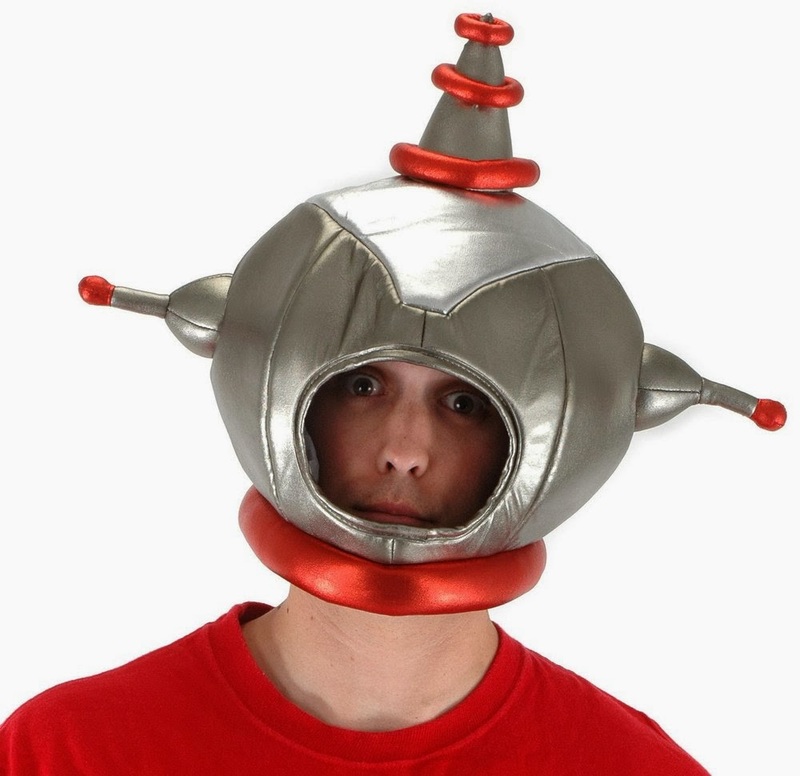 It also comes in a range of 7 colours so if his dedication to Mars occasionally lapses you can cater for that too!